A partial solar eclipse occurs tomorrow, Thursday Oct. 23rd, across North America. The eclipse is visible from the mid-Atlantic region south into Florida and Mexico, west out into the Pacific Ocean, north into Canada. For details about visibility in your area check out this link. For the PHILADELPHIA AREA, the eclipse begins at 5:51 pm, reaching its maximum of less than 20% coverage at 6:08 pm. Unfortunately, sunset occurs at 6:10 pm. We will not see very much because only a small portion of the sun will be covered by the moon. 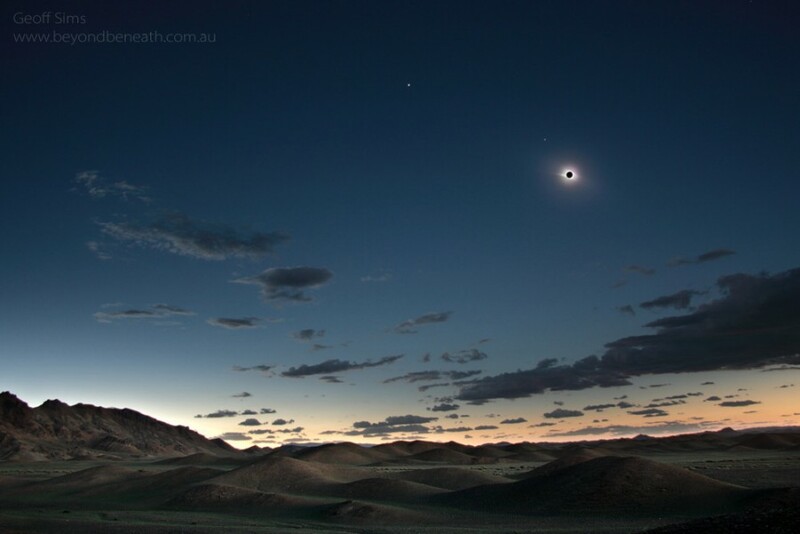 No effects typically associated with eclipses will occur because the eclipse is so minimal. Solar eclipses occur when the moon passes between the sun and the earth and the moon’s shadow fall onto the earth. In this case, the moon will not completely block the sun’s light as seen from the earth, so only a portion of the sun will appear covered by the moon. For us, the eclipse begins 19 minutes before sunset, when the sun is very low in the western sky. Maximum eclipse occurs just two minutes before sunset. Viewers in this region will need a completely unobstructed view of the western horizon and clear skies in the west. The sun will set as the eclipse is in progress. Viewers further west will see more of the eclipse before sunset occurs for them. No one on the planet will see a total solar eclipse because the Sun-Moon-Earth positioning isn’t correct for that. 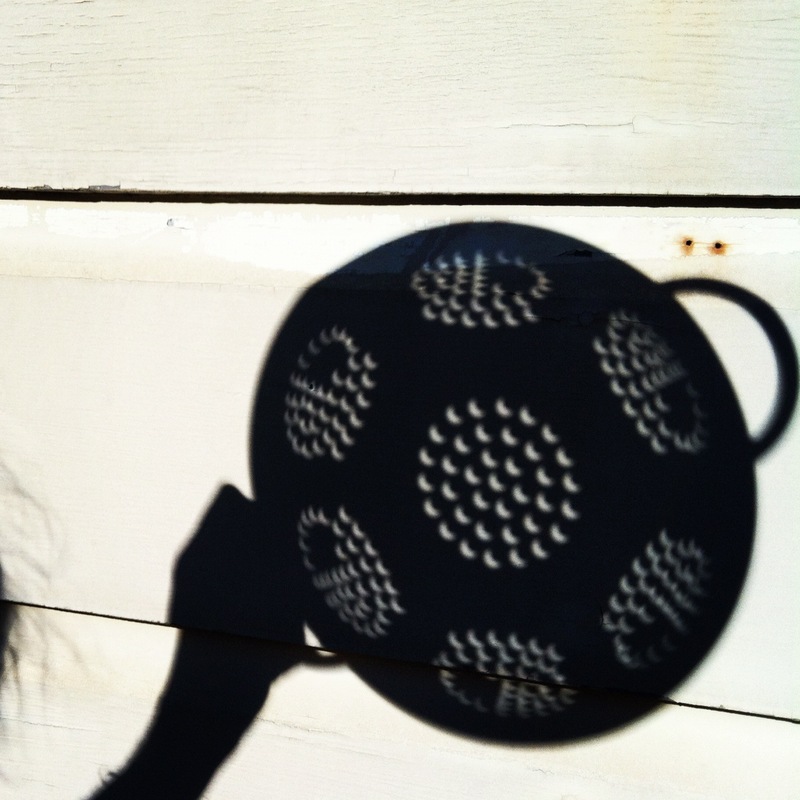 To safely view the eclipse you’ll need either a pinhole camera-like device like this or this one , something with lots of holes like this or a piece of pegboard. You can also view the event directly IF you have the correct filter material like these kids do. Weather is the most important factor: if the sky isn’t clear, we won’t have any opportunity to see anything. In case of cloudy weather, the eclipse will be broadcast live here. There are two solar eclipses next year, neither visible from our area. The next visible for us is August 21, 2017, a total solar eclipse visible for the Carolinas! - Compiled by D.H. Pitts, Chief Astronomer, Franklin Institute Science Museum, dpitts@fi.edu, 215 448 1234, 10/22/14.